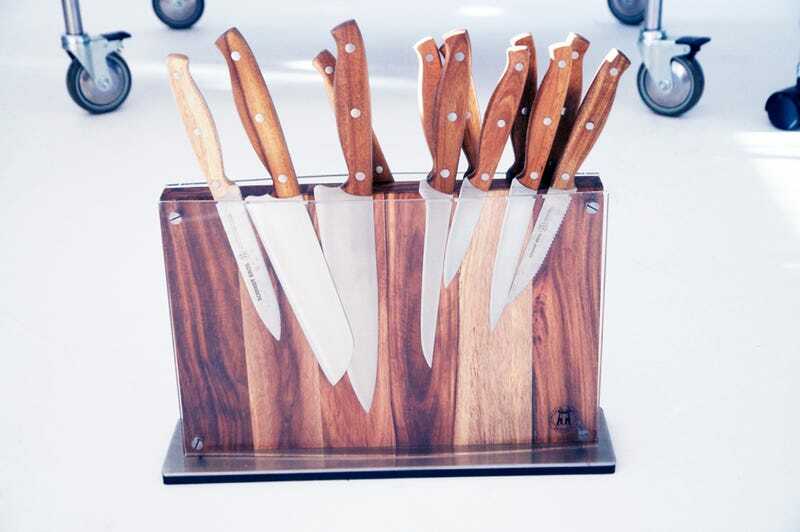 You need a knife block, don't you? You need a knife block, don&apos;t you? West Elm's new Market vertical feels a lot like its answer to Fab — quickly merchandised, frequently replenished lines of aesthetically sensible everyday things. They have lots of items curated for urbohipster yuppies like this previously obscure and daring knifeblock that Luxirare discovered years ago. It's cool to see a fairly traditional retailer try this. Should bring a lot more frequency and freshness to their assortment.